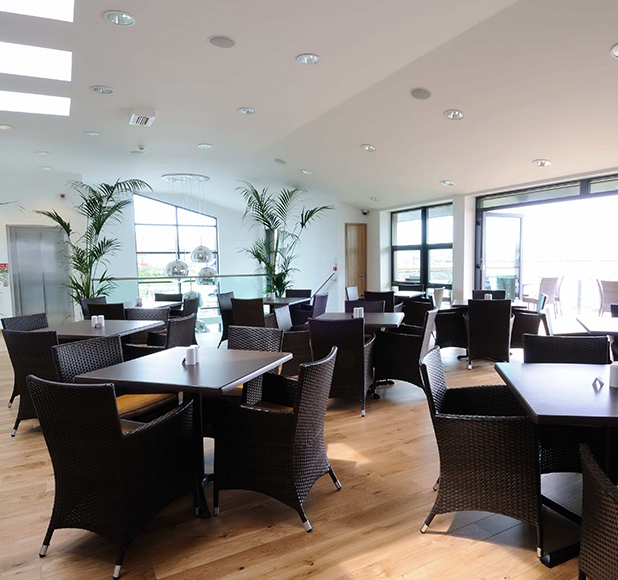 Occupying a picturesque waterside spot with large terraces and a conservatory, this restaurant is a key feature on the Mount Batten waterfront. 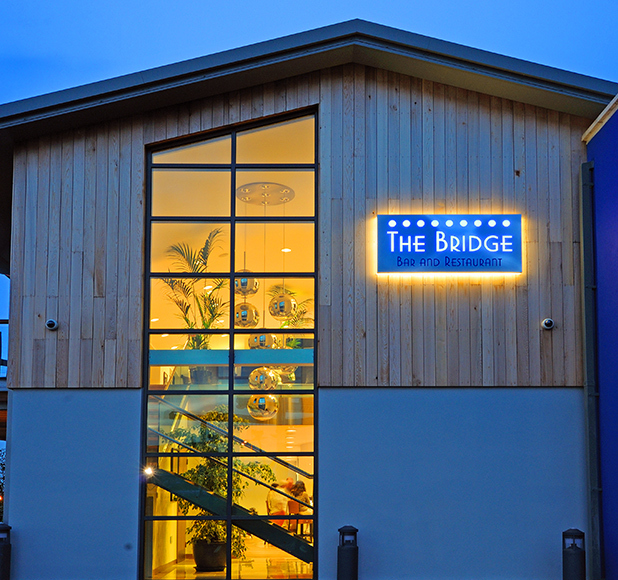 Working together, the Building Services Engineering and Interior Design teams produced the full design and specification for The Bridge Bar and Restaurant- a new build facility located at Plymouth Yacht Haven Marina adjacent to the existing marina building. With large glass windows, open seating and feature decorations, the restaurant is bright and contemporary. 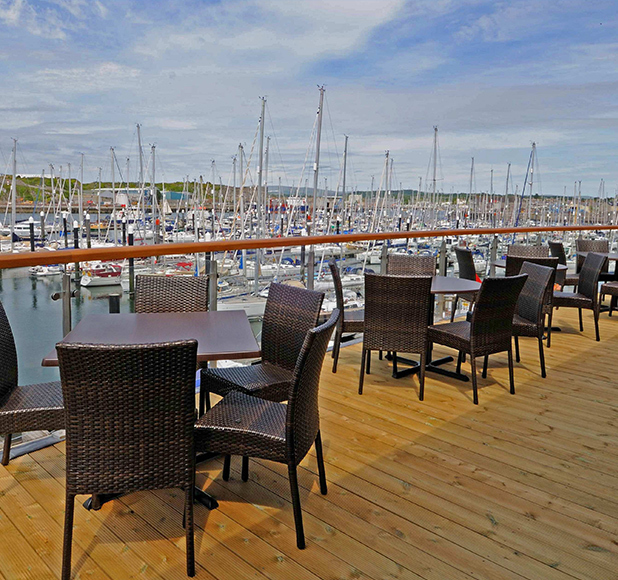 The two storey facility has bar and restaurant areas on both floors, with the kitchen located on the ground floor, and beautiful terraces overlooking the marina. A full, state of the art commercial kitchen was provided and the energy efficient build has underfloor heating and heat recovery of ventilation to reduce energy costs. The client required a range of lighting effects and the system included feature LED strip lights and dimmable scene setting main lighting. External areas were creatively lit using a variety of fittings and effects.